Q: HOW FAR IS THE HAY-ADAMS FROM THE WHITE HOUSE, THE NATIONAL MALL, AND THE CAPITOL BUILDING? 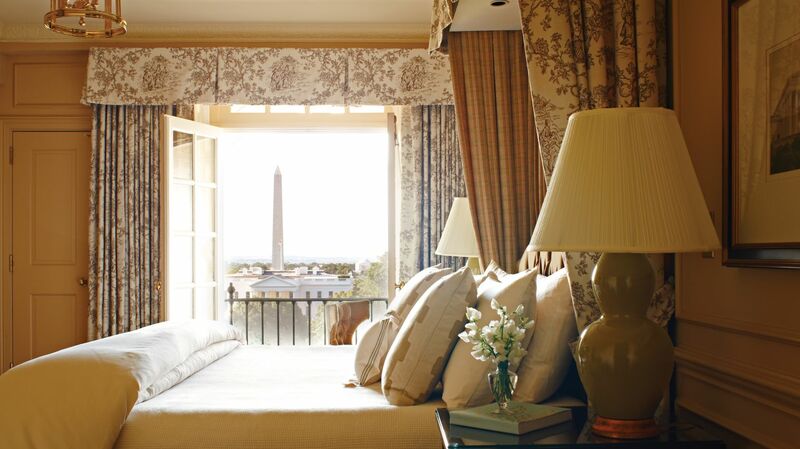 A: The Hay-Adams is located in Downtown Washington, DC, steps from the White House, which is directly across Lafayette Square. The National Mall is about 4 blocks from our hotel, just beyond the White House. The Capitol Building is approximately 1 mile away. Browse our guide to The District and attractions within walking distance of our hotel. Q: HOW FAR IS THE HAY-ADAMS FROM THE AIRPORT? A: From Ronald Reagan Washington National Airport (DCA), we are about 6 miles (15 minutes). From Washington Dulles International Airport (IAD), we are about 25 miles (45 minutes). From Baltimore Washington International Airport (BWI), we are about 31 miles (54 minutes). 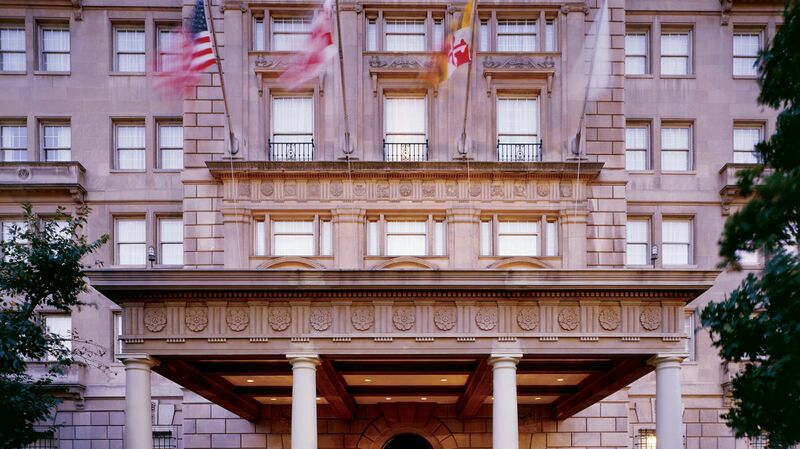 Learn more about our hotel's location in Downtown Washington, DC and get directions. Q: WILL THE HAY-ADAMS ARRANGE TRANSPORTATION? A: Yes, our Concierge will gladly assist you in making arrangements for limousine, taxi, and car rental services. Q: IS THE HAY-ADAMS A PET-FRIENDLY HOTEL? A: Yes, The Hay-Adams is pleased to welcome pets to our luxury hotel in Washington, DC. Please contact us prior to completing your reservation should you plan on bringing a pet. Q: DOES THE HAY-ADAMS ALLOW SMOKING? A: For your comfort and safety, The Hay-Adams is 100% non-smoking. Q: DOES THE HAY-ADAMS OFFER DRY CLEANING SERVICES? A: Yes, our Valet handles all laundry and dry cleaning services upon request. Q: DOES THE HAY-ADAMS HAVE A FITNESS FACILITY? Q: HOW CAN I OBTAIN TICKETS TO CONGRESS, DINING AND THE ARTS? A: Our fully-staffed Concierge is happy to assist guests with ticket arrangements, sightseeing tours, dining, and other recreation recommendations. Q: DOES THE HAY-ADAMS OFFER HIGH-SPEED INTERNET ACCESS? A: Yes, we offer complimentary high-speed Internet access to a T-1 line in each of our luxury guestrooms. We also provide complimentary WI-FI in all guestrooms, meeting rooms and public areas. Q: DOES THE HAY-ADAMS HAVE A BUSINESS CENTER? A: Yes, we provide complimentary access to our 24-hour business center, equipped with computers, a fax machine and a printer. Please ask our Concierge for assistance or view our on-site amenities and services. Q: IS EARLY CHECK-IN AND LATE CHECKOUT AVAILABLE? A: Yes, regular check-in is from 3 p.m., and check-out is by 12 noon. To make other arrangements, please advise Reservations when booking. We are happy to accommodate special requests based on availability. Q: WHAT ARE THE PARKING OPTIONS AT THE HAY-ADAMS? Q: DOES THE HAY-ADAMS OFFER ADA ACCOMMODATIONS? A: Yes, we have a total of nine ADA-compliant rooms, including one suite. Q: WHAT ARE ROOM SERVICE HOURS? A: Room service offers complete meals and light fare 24 hours a day. Q: WHAT CREDIT CARDS DOES THE HAY-ADAMS ACCEPT? A: American Express, VISA, MasterCard, Discover, Carte Blanche, JCB, and Diners Club.